While the MLB has approved using wearables during games, over in the NBA, one player has been breaking the rules by taking a banned wearable on court. Matthew Dellavedova, point guard for the Cleveland Cavaliers, has been wearing the Whoop wearable on his wrist for the past 15 games. 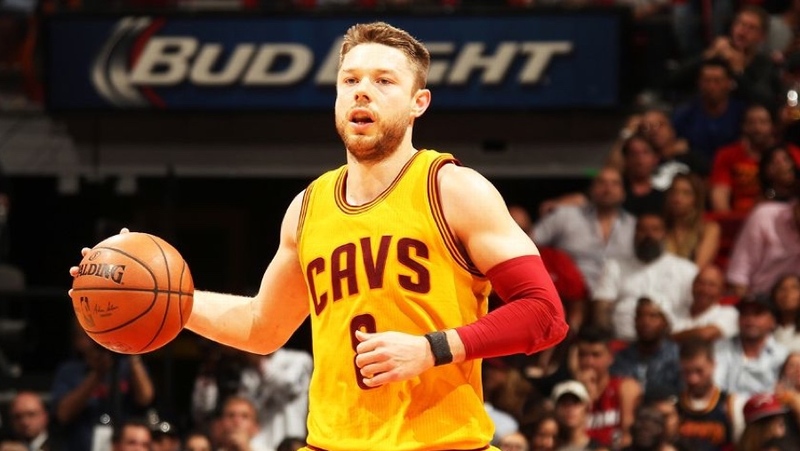 After the NBA was informed about the presence of the wearable on Dellavedova's wrist, he avoided a hefty fine but was banned from strapping it on again. Much like the MLB did before this week's big announcement, the NBA has a pretty strict policy on players wearing tech and those rules have been in place for a long time. The wearable in question doesn't serve up the same data as a Fitbit or Jawbone. The Whoop is built for elite athletes and when worn can deliver actionable data in real time related to heart rate and stress. It aims to help prevent injuries and even looks at how travel schedules can affect a player's freshness for the next game. Wearables are starting to become common place in a host of sports including the NBA to aid players during training. The Golden State Warriors have been using Catapult Sports devices to monitor performance in training to aid recovery between games. Earlier this year, the Miami Heat partnered up with Vert, makers of a wearable that can monitor elements like jump count and jump load. We're sure this won't be the last we hear about the debate of whether wearables should be allowed in the NBA or in other sports during a game. The reluctance to embrace it could have something to do with how rough it can get out on the court. Nobody wants to get a Whoop in the eye when they're trying to stop you from dunking on them.